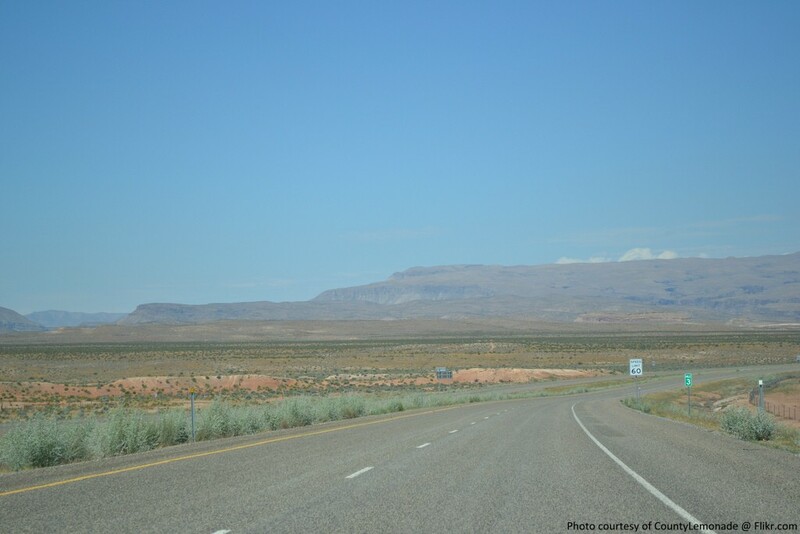 ST. GEORGE – Southwest Utah has long been held up as a great place for outdoor enthusiasts to come and play. The terrain can be challenging and the scenery sublime. Among the outdoor activities that locals and visitors enjoy are road cycling and mountain biking. 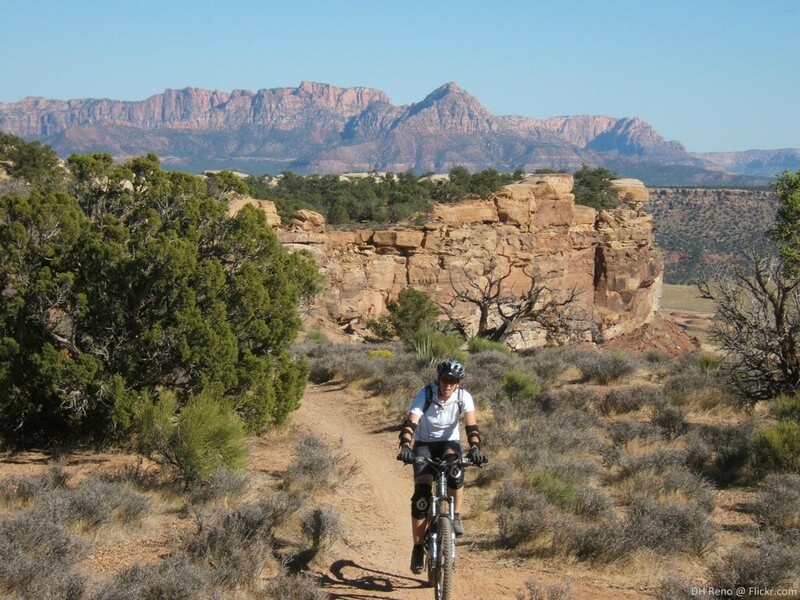 “The beauty of Southern Utah is that it is a cycling paradise with an almost infinite range of rides and trails suitable for any rider,” said Craig Shanklin, the president of the Southern Utah Bicycle Alliance. While professional cyclists and triathletes may be more accustomed to the area’s less-forgiving cycling routes and trails, what is there for the beginning or intermediate rider? Shanklin recommends beginning road cyclists try the St. George trail system, which he said is best accessed at the Confluence Trailhead located south of the Dixie Convention Center. “There are several out and back rides all originating from this one little park. A new cyclist can ride until they tire and turnaround,” he said. From there, cyclists can take a path leading into Bloomington, or one that will take them to Washington Fields Road near the intersection of Industrial Drive. It should be noted that cyclists will also be sharing the trail with non-cycling trail-goers on these routes. More information and guidelines concerning the trail system can be found here. Another option for beginning road cyclists is the Southern Parkway south of St. George. It is a relatively new route that takes a rider passed the St. George Municipal Airport toward Washington Fields. It is described as a fairly easy ride with a generally flat surface and wide shoulder. For intermediate riders, Shanklin also recommends the Sand Hollow Loop. The route has about 35 miles of dedicated bike lanes with scenic loop around Sand Hollow Reservoir. Advanced riders can take advantage of the route that passes through Snow Canyon State Park via the paths along state Route 18. “This ride offers about 1,000 feet of climbing for a good cardio workout and is about 20 miles long,” he said. Riders unfamiliar with the bike paths along SR-18 should know what they are getting into, as parts of the path can become particularly steep. 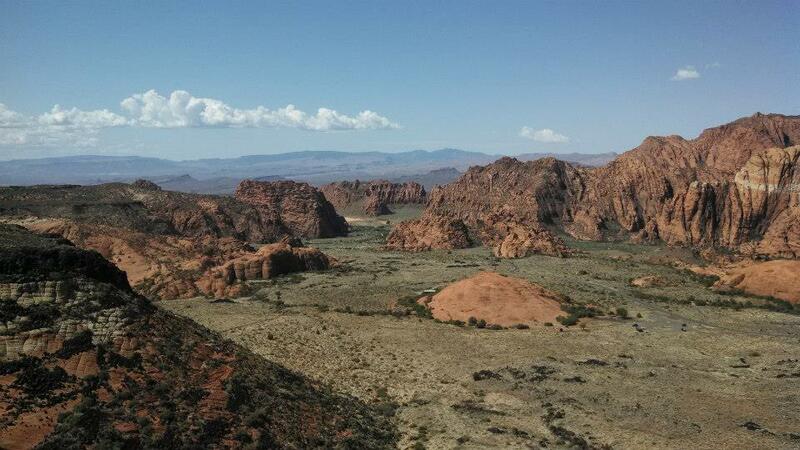 An alternative route can be taken into the park via Snow Canyon Parkway and up Snow Canyon Drive leading into the state park. 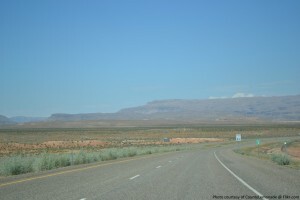 The route is around 40 miles long and goes from Ivins up past Gunlock Reservoir, through Gunlock and up “The Wall,” and eventually to the community of Veyo. Riders are encouraged to stop by Veyo Pies before continuing south on SR-18 to complete the loop. Cyclists can get in a 50-mile ride by starting and finishing at the intersection of Sunset Boulevard and Bluff Street in St. George. For people who enjoy more of an off-road cycling experience, Washington County also has something to offer to the beginning, intermediate, and advanced rider. “Our area is extremely unique as a cycling destination,” Cimarron Chacon said. Chacon is an avid mountain biker who is quite familiar with cycling in Southern Utah. Between 1999 and 2006, Chacon was a landscape architect with the Bureau of Land Management who helped design and build a number of the area’s bike trails. 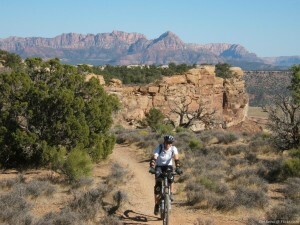 She is also a founder and former president of the Dixie Mountain Biking Trails Association. Chacon pointed out that there are obvious differences between road cycling and mountain biking. For one, “you’re not sharing the trails with a thousand other types of trail-users” as you would on a city path or a road cycling route. As well, mountain trials may not be all that forgiving to the novice rider at first. “There are many trails that can be hard on beginners,” she said. One trail she recommends for starting-intermediate cyclists is the popular Bear Claw Poppy trail in Bloomington, which is considered a “classic” trail among many riders. Also known as the Green Valley Loop, the trail connects the west side of Bloomington with Green Valley. A round trip is around 11.5 miles. Parts of the trail are described as being roller coaster-like, yet not so severe that beginners will be overwhelmed. “Unfortunately this (trail) is being loved to death,” Chacon said. As heavily ridden as the Bear Claw Poppy Trail is, she said some riders do not follow “cyclists edict,” meaning they go off the path and generally abuse the trail. Depending on the severity of continued offenses, she said cycling access to the trail could be lost at some point in the future. Chacon also suggests the Prospector trail located in the Red Cliffs Reserve near Leeds which takes a rider south toward Washington. The trail goes though Navajo sandstone and is 6 miles long, though can be made longer by continuing on the Church Rocks trail. One of the area’s most popular destinations in Washington County is Gooseberry Mesa located west of Zion National Park on BLM-managed land. Like the Bear Claw Poppy Trail, the Gooseberry Mesa trail is considered one of the area’s signature biking trails, particularly for its slick-rock, single-track course. However, parts of the trail also have what is called a black diamond and double black diamond rating, which is recommended to for advanced and experienced riders. Rider are advised to “know their limits” on parts of this trail. Another popular trail is the Barrel Roll trail in the Santa Clara River Reserve. Chacon said it is currently the BLM’s most popular trail, and is also a more intermediate-level one. The trail itself is a 6-mile loop that climbs and descends the mesa many times. “Its extremely popular,” Chacon said. She added part of the trail’s popularity is that it connects to other trails like the Rim Rock trail, the Sidewinder trail, and the optimistically-named Suicidal Tendencies trail. With the exception of Suicidal Tendencies, the other trails are considered to be in the range of intermediate-level riders. Red Rock Bicycle Company’s “Find a Trail” page – Guide with basic information on many of the trails and routes in the area, recommended by Shanklin. Over the Edge Sports, Hurricane – Both Chacon and Shanklin recommend this cycling shop as a place to get great first-hand information on the cycling routes in the Hurricane area. UtahMountainBiking.com – An online cycling resource offering detailing information on trails and routes throughout the state. Cyclists need to have good equipment if they plan to get into road or mountain biking. A low-cost bicycle from a department store may not be the wisest of choices for your outdoor excursions, Chacon said. Pack a map of the area/route. It’s easy to get lost when riding through back country. Many of the cycling shops in the area are great resources for maps and similar reference guides. Always pack an adequate amount of water. Observe rider edict – stay on the trail (road cyclists are encouraged to know and observe the traffic laws that apply to them). On the subject of proper equipment, namely a bicycle, the price for a dependable road and/or mountain bike for a beginning cyclist can range from $400 to $1,000 on the low end, and go well above $10,000. Mark McLaughlin, owner and manager of Bicycles Unlimited in St. George, said the higher the price tag on a bike, the less it will weigh. He recommends prospective buyers look into one of the four mainstream cycling brands when considering a purchase. These brands include Cannondale, Cervelo, Specialized, and Trek. A good beginning road bike can run about $1,000, McLaughlin said. Tri-bikes, bycicles used by triathletes, can start at around $2,500. For people looking for an affordable alternative though, McLaughlin recommends what is called a “flat bar bike,” which can range from $400 and up. Buying a used high-end bike is also an option. For individuals unsure of what type of bike to invest in, McLaughlin suggested renting a bike for the purpose of a test ride. Bicycles Unlimited is one of many cycling shops in the county that offer bicycle rentals. Updated regularly, the STGnews LifeCYCLE report is a listing of casual rides, charity rides, centuries, triathlons and ultramarathons – events for the competitor and recreational fun rides – throughout Southern Utah. Actually, they may want to avoid the trial system, as they may end up in Purgatory. The TRAIL system, however, is a good place for the beginner to gain some experience. Please share with all appropriate and interested parties. Mike you do realize how large the earth is and that those that spend time in the wilderness are much more legitimately concerned about preserving it? The place where you live was once a wilderness area, what are you doing to turn it back to its natural environment? You do realize that humans are not some alien species but also from this earth, right? I am all for being responsible with our planet, but to prevent people from participating in the great outdoors is to make us even more detached from the environment and less concerned for its well being.